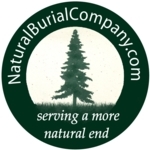 The Natural Burial Company sells biodegradable* coffins, caskets, urns and natural funeral goods throughout the US and into Canada (click here for the Natural Burial Company's "Good Funeral Store") . Our crafters come from around the world, where the technique of making handwoven coffins has not yet been lost, and where direct-earth burials without vaults are still common. Your requests for and purchase of these products helps keep these handarts arts alive, and challenges the funeral profession to shift to more sustainable funeral and cemetery practices - before you need them! Visit the Natural Burial Company's "Good Funeral Store"
Our wicker coffins and urns are sourced from tried-and-tested suppliers around the world, many of whom grow and/or harvest their own fiber. Thousands of these high-quality coffins have been buried or cremated throughout the UK - their designs are tried and tested, and ideal for natural burial or cremation. Each year, more North American funeral homes stock these natural products, and we look forward to the day when biodegradable coffins and urns are as common as organic foods are today. We've even designed some of these products ourselves - the Shrouding Board(TM) and the Caskit(TM) are two of our favorites, inspired by the need for dignified shroud burial and natural DIY shipped-flat caskets that can be built or decorated at home. We work to find products for burial and cremation that lower the energy footprint, honor ecological preferences, and are made of non-synthetic and biodegradable materials. View those we offer at retail in our online natural coffin gallery and store or contact us directly for more information for either wholesale, retail, or custom-coffin options..
To locate a natural funeral service provider we suggest you visit the Natural End Map for a list of funeral directors and cemetery operators who have signed the "Natural End Pledge." They promise to provide "natural funeral basics" like funerals without embalming and biodegradable caskets, and help clients find a nearby cemetery that offers burial without vaults or liners between body and earth. Natural End Pledge Signers often go far beyond the bare minimum, offering you creative celebrations, receptions with organic food, and even retrofitting their funeral homes to refrigerate you with solar power and compost the leftovers from your Last Big Party. Visit them on the Map, and if you don't see your favorite natural funeral provider there, encourage them to sign up soon. We use our Natural Burial Company's facebook page to recommend BOOKS AND MEDIA, keep track of alternative funeral news, and share opinions about the natural burial movement wherever we can. Sign up to stay in touch with articles, tips and updates on the movement worldwide, and add your two cents, too! We sell we sell biodegradable coffins and shrouds retail AND through funeral service providers and we can ship almost anywhere. This means that anyone can get a biodegradable coffin, shroud or urn, whether or not they can find a funeral director to provide one. However, ANY funeral director can order a Natural Burial Company product on your behalf. Check and compare prices - they may offer better better ones than we do, once you factor in shipping and the other services you receive from a funeral professional. *NOTE: biodegradable coffins and urns must be buried in proper soil conditions in order to biodegrade in a timeframe normally expected of burial in a cemetery.